It doesn’t happen often but I don’t have anything to actually say for myself today. I also feel a little frustrated that I’m looking through my library of work over the past year and I’m somewhat under-inspired by my efforts. Some things catch my attention but when I look more closely I lose interest. I think I need a few days break over the Christmas period. 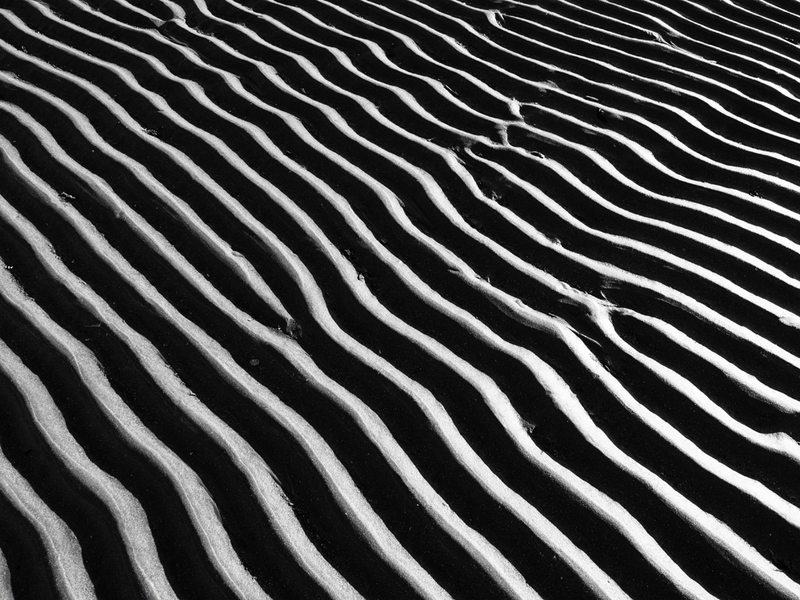 I will leave you with this moderately interesting sand pattern from the beach at New Brighton. And I thought it was a macro of a fingerprint! Glad I’m not the only one that has days like that! But a lively pic nonetheless. Thank you. I appreciate the positive feedback. Thanks Pablo. I think the Nik suite will impress. If you don’t find all the different options are to your taste check out Alien Skin Exposure 7. Some of the Topaz plug-ins are also good although it can be a task somethimes to prevent them looking a little like HDR images. Merry Christmas. Yeah its that time of year, when we are all tired and fed up I think. If its any consolation I have picked up my camera no more than 5-6 times this year, and really only one decent roadtrip away. Thats because I was incredibly busy at work with a staff member short til July and I have been studying seriously (part time) at the same time. But I passed my courses and an industry exam, and my hard work meant I could afford to buy the Lee Filters and I won a competition at work that just paid for 2/3 of a new Canon 7D Mk ii. Wow! sounds like you have a packed time ahead of you. Congratulations also on exams and the comp win. It makes it all the better when it’s cash to spend on camera equipment. Take your break and we will be waiting for your return all fired up and ready to go. Thank you. I think it’s known as burning the candle at both ends. I dare not tell you what my other business is and how many hours that takes up. But don’t worry, I will be back and renewed soon. I also have my Grandson over from France at the moment so there is hardley a free minute. I’ve got the perfect cure for photographers’ plateaux. It’s a booklet – superb value and inspiration. ‘The Photographers Coach’ by somebody called Robin Whalley – same name – what a coincidence! Great book. I highly recommend it.